Considering how long it takes me to do subtitles, it might seem odd that I felt jealous when I saw that someone else was doing the subtitles. I had even subbed the first few minutes until I saw that Earthcolours were doing them. Good job too, because their subs were far better than mine. I’ve been doing police dramas for too long: I struggle with drunken banter. Which brings us to the premise of this series: a woman who runs a bar suddenly finds she has to look after the five-year-old child of an old friend who turns up one evening and then vanishes. This does not fit well with her nocturnal lifestyle, and it also brings back unwelcome memories that she'd rather forget. The series is, for me at least, a chance to watch Ando Sakura at work. She moves pretty effortlessly between moods, switching from benevolent mother-figure to loudmouth insolent without it seeming strained. But of course she's excellent. It seems a little redundant to point it out. 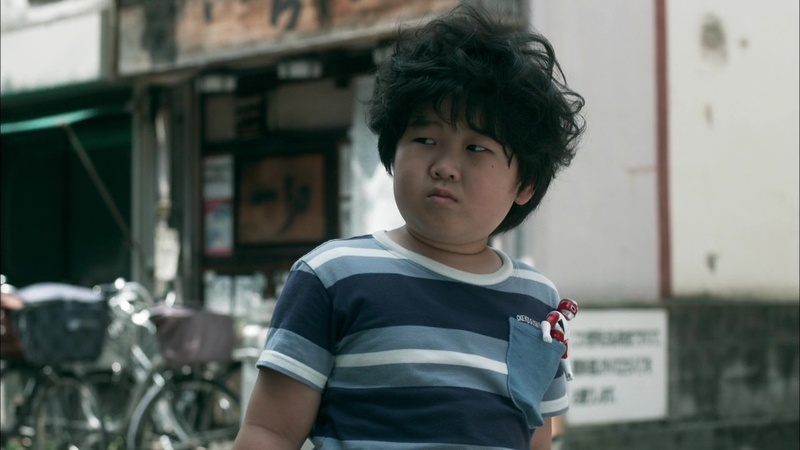 Koyama Harutomo, who plays the part of the five-year-old, is pretty good. There are moments when his acting seems to stop and then start again, but nothing major. 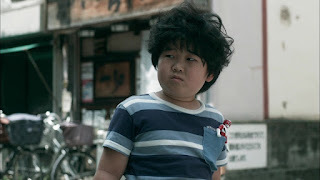 He's certainly got a good look, with an unruly mop of hair on top of his round expressive face. I'm quite unconcerned about where the story goes. A debt collector is involved now, so it won't just be about a woman learning to care again after a troubled past, but beyond that I'm not really bothered. I'm just going to enjoy Ando Sakura and hope that everything else is half as good.